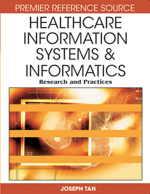 The challenge of conceptualizing healthcare technology management (HCTM) construct begins with an extensive literature content analysis to generate a set of definitions and attributes of the technology management (TM) concept, which was eventually extended to HCTM. To move from a theoretical framework to understanding best practices in HCTM, a critical step is the development of an instrument through a formal design process involving expert panel review, pilot testing, and instrument refinement and field-testing in order to extract and measure HCTM performance indicators. This metric that was generated for its formalization was then used to assess HCTM best practices. This chapter, which discusses the flow of HCTM theoretical framework into best practices, provides insights into the status of HCTM practices in Canadian teaching hospitals.